Paradise Found is a good documentary produced by the channel 4. Through it the British art critic Waldemar Januszczak take us to a journey across the Islamic world to show the beauty of Islamic art and explains it's great affect on the western one. 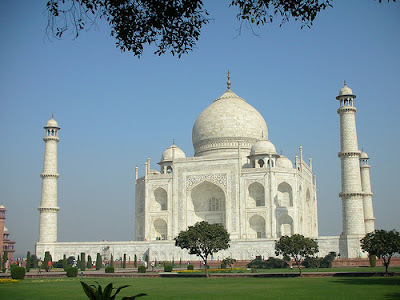 the taj mahal isnt a mosque, its a mosoleaum, a shrine containing the dead wife of the sultan. Very Good work. Can I get a copy for broadcasting in a TV Channel in India. Please contact me as soon as possible. I'm Coordinator of the Hamad bin Khalifa Symposium on Islamic Art and we have a great new feature on our website: free video of all of the talks on Islamic art given by international scholars sho have taken part in the conference from 2004-09. Would you be interested in posting any of this video to your "Islamic Art" sub-page? 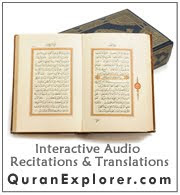 The web address of our organization is http://www.islamicartdoha.org and the direct address for the video archive is http://podcast.islamicartdoha.org. Thanks for your work, it's a great website you've put together. Dear brother, your work is worth of appreciation. I must say that you 've done a quite good work...Applause for that. One thing in this documentary, sorry to interrupt the documentary, Well Taj Mahal India is not a mosque. It is a tomb of wife (Queen Mumtaz) of one of Mughal Emperor Shah Jahan. He built that tom,b in memory of his beloved wife as a symbol of Love. You could correlate Islamic Art in this tomb because its walls are decorated with master piece of work...! many people tried to correct you.change your caption.its not a mosque. Thank you all for your comments, It's fixed now. the taj mahal isnt a mosque, its a mosoleaum, a shrine containing the dead wife of the Mughal Shah Jahan.